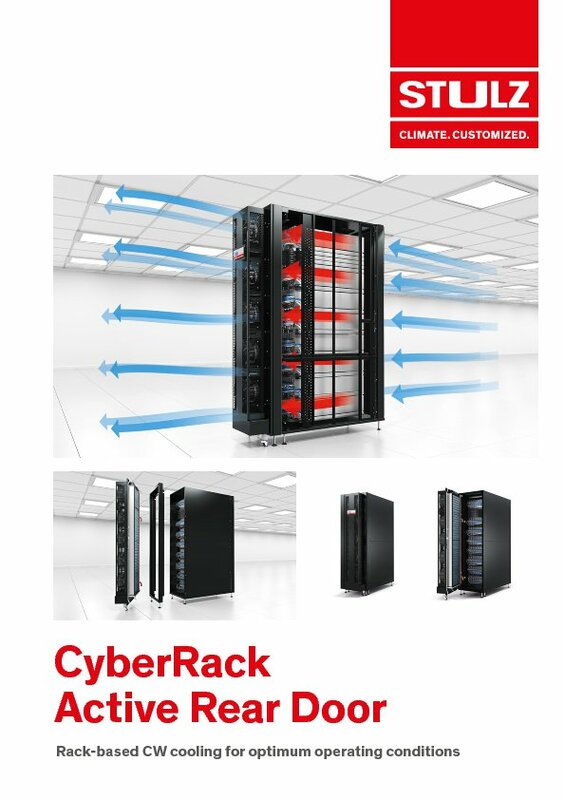 The CyberRack Active Rear Door is a heat exchanger door with EC fans for installing on the rear door of server racks. The server rack door is swapped for the CyberRack Active Rear Door, which transforms the rack into a cooled server rack that no longer discharges any heat load in the data centre. As it is mounted on the rear of the rack, there is no need to change the rack's position. This cooling solution can therefore be integrated more easily in existing data centres, regardless of whether the server racks are to be retrofitted or the rack already comes with the CyberRack. CyberRack Active Rear Door units are installed on the rear of the rack. The active heat exchanger doors cool the server right at the source and prevent heated air from entering the room (see illustrations below). Separate plug-in contacts enable the simple replacement of individual EC fans. "If the originally planned precision air conditioning is no longer sufficient for discharging the heat load, retrofitting the water-cooled CyberRack Active Rear Door provides targeted cooling of high-density racks. There is no need to change the position of the server racks in the data centre." The pressure independent control valve (PICV) combines the functions of control, hydraulic compensation and flowrate measurement. The water flowrate required for cooling is set directly by the CyberRack control system. • The cooling capacity of each individual server rack is recorded.